South Korea has been elected a "member state" of a major United Nations panel on international trade, the nation's foreign ministry said Tuesday. 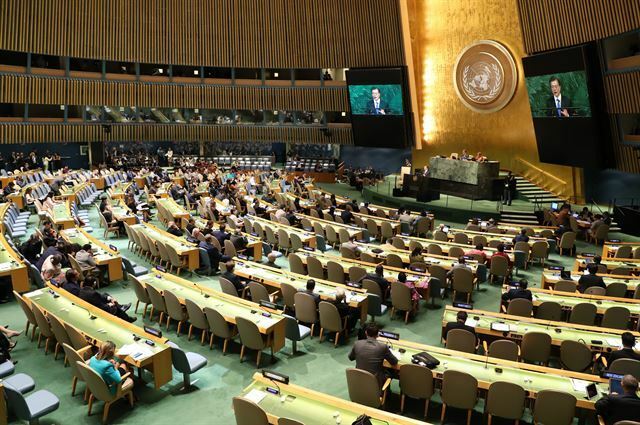 South Korea received 155 votes out of 193 up for grabs in the election held in New York on Monday (local time) to win member status of the United Nations Commission on International Trade Law (UNCITRAL), according to the Ministry of Foreign Affairs. It will serve as a member state of the body from 2019-2025. In the Asia-Pacific region, nine nations competed for seven posts. UNCITRAL was established in 1966 in a UN General Assembly resolution to "to promote the progressive harmonization and unification of international trade law."